New year’s resolutions are notorious to be casual statements that are broken too easily by us, but this is one resolution that comes from conviction and compassion. A doctor from Mumbai has announced that he will treat every patient, who is above 70 years of age, absolutely free! Dr. Dheeraj V. Mulchandani, a general surgeon practising in Colaba, has decided to treat all senior citizens above 70 years free of cost at his clinic. He says that this is his way of giving back to the society. “I hope that my kids learn the importance of respecting their elders and offering them their dignity,” Dr. Mulchandani wrote in his blog while making the announcement. The 36 years old doctor who is father of two children, said that this decision was triggered by some incidents he witnessed at his clinic, especially related to an elderly woman who was abandoned by her family and was living alone. She had been avoiding treating her illness for months as she worried that she might run out of the little money that she had. There was another elderly patient who just wanted someone to listen to her problems. “She broke down crying when I offered just a few kind words of support. All she needed was some love and kindness and a patient hearing,” Dr. Mulchandani recalled. Moved by these incidents, and also because of the fact that his own mother had been suffering from a chronic back pain where she needed attention and time of her family, Dr. Mulchandani vowed to give this time, attention and care to all elderly citizens. He further told us that he doesn’t expect any private hospital to do such charity at an institutional level as they have to make money to maintain the standards expected today, but as a private citizen, he will do his bit and hope that it inspires others. He also said that of late, some malpractices by the medical community has come to light and thus it’s important this his generation of doctors can clean up the system and make the profession better and honourable again. 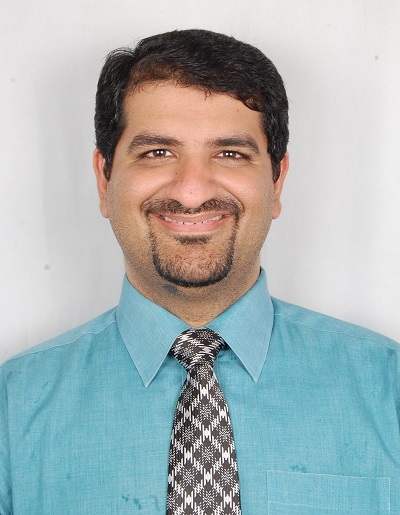 Dr. Mulchandani completed his medical studies from the University of Pune in 2001. Those interested can visit his clinic at A-7, Sangam Bhavan, Ground Floor, opp. Strand Cinema, Colaba, Mumbai 400005. “The timings are 6:00 pm to 8:30 pm. My distinguished seniors can walk in anytime. There is no restricted time for them,” he said.